Have an itch to play some interesting indie titles on your Wii U? Now's your chance to do so at a discount. The catch? You'll have to buy or already own one of the five games available in order to take advantage of it. Nintendo's calling their new deal the Super Indie Connection Sale. From today , the Wii U's eShop will play host to a 60 percent discount on five separate titles. That sale will last until Feb. 13. The five games being discounted are as follows, as per the email sent out by Nintendo this morning. Toki Tori 2+ from Two Tribes Publishing is a puzzle adventure with no tutorials, no hand-holding and no one telling players what to do. The fun is in exploring and overcoming the obstacles of the lush forest island. Spin the Bottle: Bumpie's Party from KnapNok Games is a game for two to eight people. Players sit in a circle around the Wii U GamePad, spin a virtual bottle and collaborate with friends to complete the most challenges. BIT.TRIP Presents… Runner2: Future Legend of Rhythm Alien from Gaijin Games Inc. is a rhythm-music, auto-running platformer. Players run, jump, slide, kick and soar through fantastic environments with amazing soundtracks. Giana Sisters: Twisted Dreams from Black Forest Games is a fast-paced platformer that lets players morph at will between two dynamically different dream worlds. 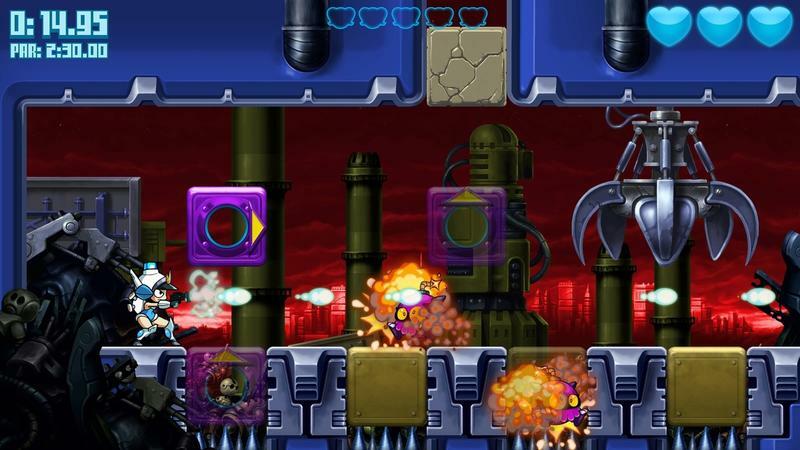 The game combines punchy graphics and tight controls with the challenge of retro platforming. Mighty Switch Force! Hyper Drive Edition from WayForward delivers players to a world in which Space Hooligans have escaped custody and are wreaking havoc all over Planet Land. Players must do what they can to bring these renegades to justice. Again, in order to get this games for 60 percent off, you'll need to either already own at least one of them or buy one at full price. I love the sale, I won't balk at it. I am a little bummed that we have to dish out full price for one in order to get the rest. Why make us jump through hoops on this? Just cut the price and enjoy the sales.